The outline of Vincent’s life is well known and the tragic irony of the loneliness and penury endured by him, when contrasted with the fact that his posthumous fame contributed to record auction prices adds an unavoidable piquancy to one’s response to his work. Early in the year 1887 van Gogh met Paul Signac at Père Tanguy’s painter’s supply shop in rue Clauzel near the Pigalle area of northern Paris. Julien-François Tanguy was a life long socialist whose friendly demeanour and support for his clients – sometimes taking finished paintings in lieu of payment for paint and canvases – earned him the soubriquet ‘Père’. His emporium had therefore become a popular meeting place for artists. In the spring of that year the new friends met frequently to paint in and around Asnières, Vincent walking from north-western Paris to meet Signac. Van Gogh became interested in Signac’s technique and his theories on colour. The result was a series of paintings which used a lighter palette than his earlier style and exhibited a more delicate execution than his later styles. In February 1888 van Gogh left Paris and travelled to Provence where he rented a diminutive house in Arles. Vincent wanted this modest dwelling to become the embryonic focus for a community of artists and to this end he had written repeatedly to his friends Émile Bernard and Paul Gauguin asking them to leave Brittany and join him in the south. In retrospect, this explosive and short-lived cohabitation was probably one of the worst ideas in the history of art. One can only wonder at the sort of atmosphere which was generated within the tiny ‘Yellow House’ by two such temperaments — one, manically passionate, already showing signs of mental instability, or at best acute depression, the other equally obsessive, famously egotistical and much more self assured. After two months Gauguin announced that he wished to leave Arles. This news precipitated the celebrated incident of self mutilation triggering van Gogh’s descent into terminal mental illness. 1886 Joins his brother Theo in Paris. Theo introduces him to the Impressionist circle. 1888 In February he leaves Paris for Arles. Gauguin is persuaded to join him but soon announces that he wants to leave. 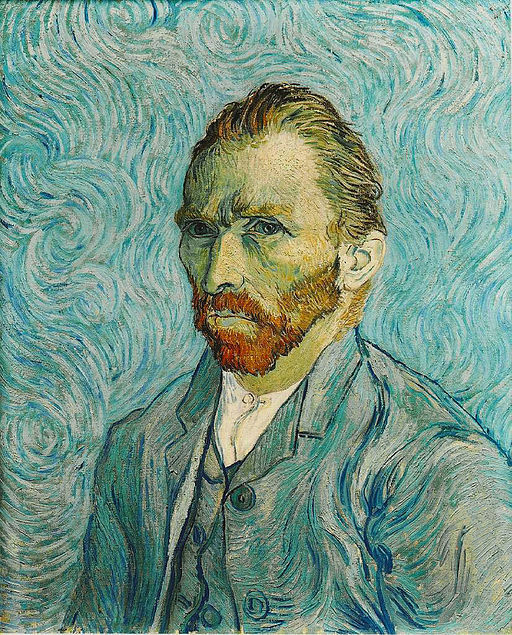 Van Gogh cuts off part of his ear. He is committed to the Hôtel Dieu in Arles but discharges himself. 1889 After suffering further hallucinations and attacks of paranoia he is again admitted to hospital but then to the asylum near Saint-Rémy-de-Provence. Paul Signac visits him in hospital.